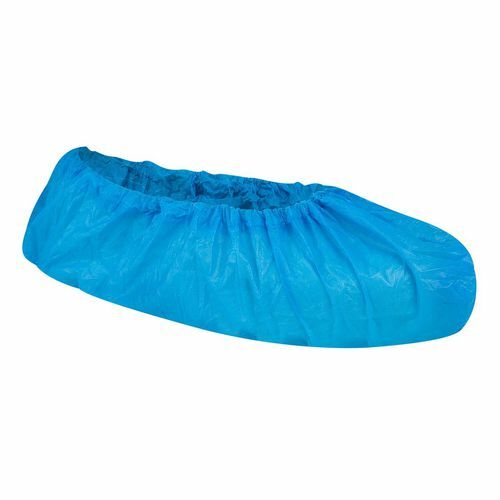 DACH Shoe Covers made of PE-foil are impermeable to water and therefore offer excellent protection in wet environments. The openings are reinforced with elastic bands that ensure the perfect fit and closure. Available in different qualities: standard and light. The ideal protective solution with an excellent price-performance ratio to avoid contamination. Ideal for the application in wet areas, e.g. cafeteria, kitchen, food or pharmaceutical industry, hospitals.